Welcome to Cyber Monday. Out gift guide extravaganza is continuing with nine great iOS accessories for any man in your life. Happy shopping. 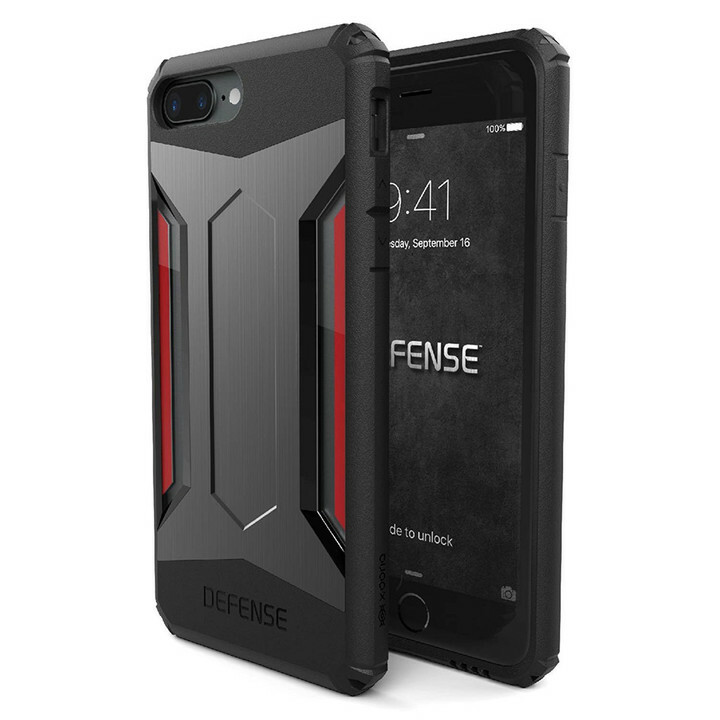 Designed to protect your iPhone 7 with four distinct layers of protection, X-Doria’s Defense Gear case is a great all-around choice. The case can protect your handset from drops from more than 6 feet. The special DropShield edge lining hardens on impact for extra protection. That’s combined with layers made from hard polycarbonate, softer TPU, and anodized metal. A raised front lip is designed to protect the screens during drops or when placed face down. Both the iPhone 7 and iPhone 7 Plus version of the case is $27.95. You can select from one of four different colors – gold, silver, rose gold, and space gray. There’s a great alternative to Apple’s Smart Keyboard for the smaller iPad Pro. 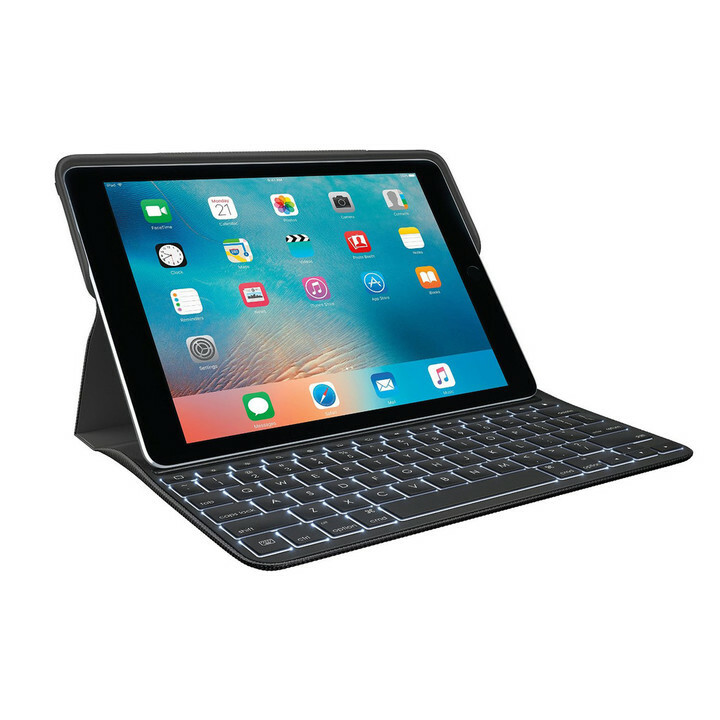 Logitech’s Create Keyboard Case uses the Pro’s Smart Connector. That means it is powered directly from the iPad and automatically connects instead of using Bluetooth. 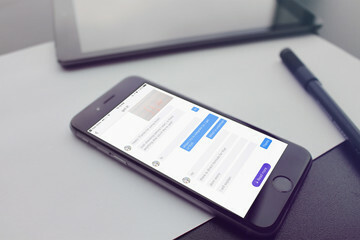 It also features a dedicated row of iOS-specific shortcut keys including a quick exit to the home screen, search, media controls, volume controls, screen brightness adjustment, and more. The keyboard itself is backlit so you can continue to work even in darker rooms. For Apple Pencil users, there is even a built-in holder so you’ll always have the stylus with you. Retailing for $129.99, it’s only available in black. Clocking in $20 less than Apple’s own option, it’s a solid choice, especially with the built-in keyboard backlight missing on the Smart Keyboard. If you haven’t heard of Horween, the Chicago-based company is one of the oldest continuously running tanneries in the United States and is known for its beautiful, soft leather. It’s the exclusive supplier of leather for NFL footballs and also provides material for NBA basketballs. 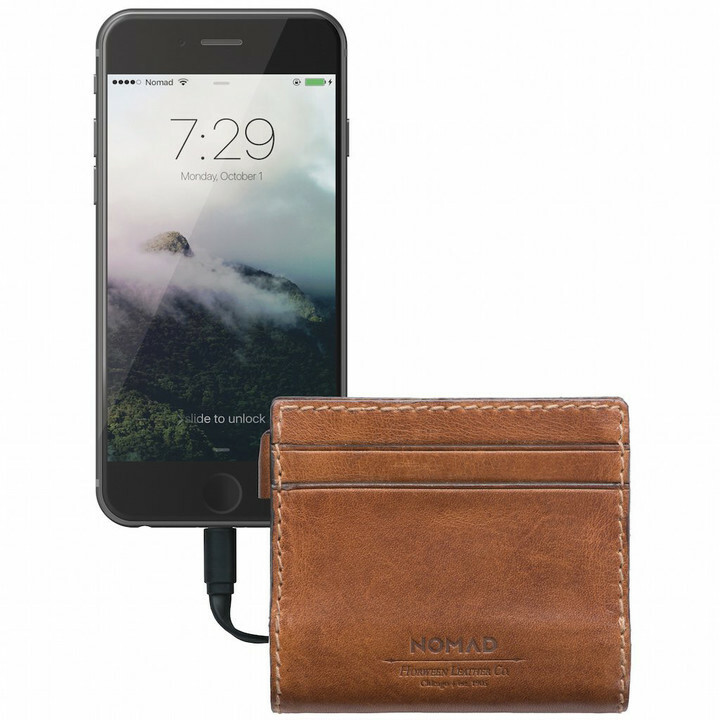 And Nomad’s latest wallet, featuring a built-in battery and Lightning charging cable, is made from the high-quality material. The Slim model can comfortably fit in your pocket with room for cash and credit cards. And the 2,400 mAH battery can completely charge an iPhone 7. 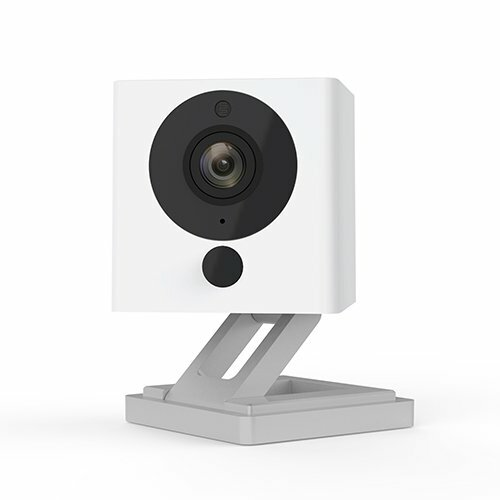 The slim model can be purchased now for $115.09. If you’re looking for something a little more roomy, a bifold version is $149.95. The Super Life Jacket isn’t exactly your run-of-the-mill Bluetooth speaker. 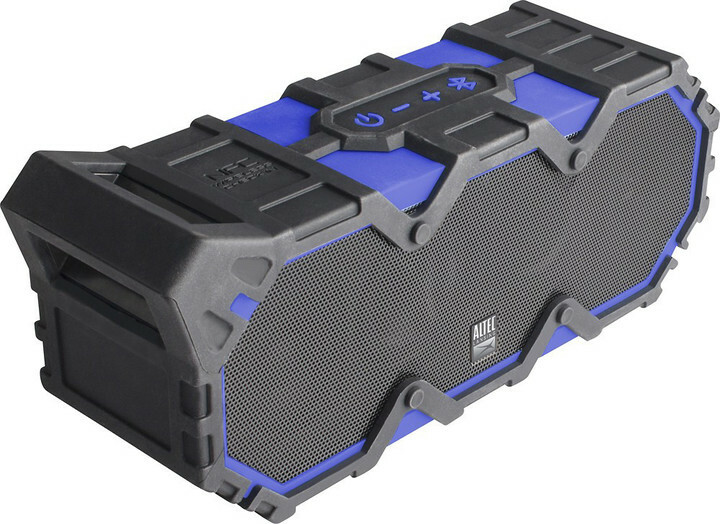 Able to provide up to 50 hours of music playback on a single charge, the speaker can pretty much resist anything you throw at it including water, sand, snow, and dust. It can even float or be mounted, making the speaker a perfect companion for the pool and the outdoors. You can take handsfree calls as well thanks to the built-in microphone. As a nice touch, the speaker will announce the caller ID so you can decide whether to accept or reject it. Two different speakers can be paired together to turn up the volume. Two color combinations are available – a black/gray or black/blue. Each version is $149.99. 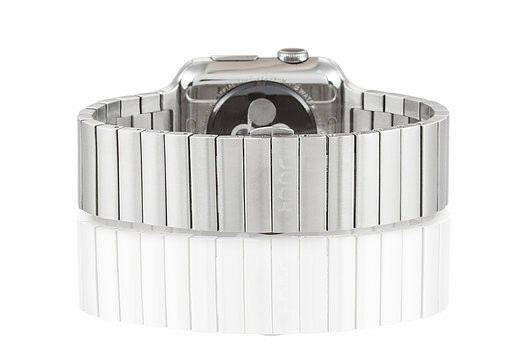 A beautiful and masculine Apple Watch Band, Juuk’s Revo Brushed is made with solid 316L stainless steel. The sides of the band are polished to better match the Apple Watch case itself. It fits wrists up to 214mm and also features a double push button butterfly deployment buckle for easy on and off. Only available for the 42mm Apple Watch, the band can be purchased now for $199.99. A polished version is available for the same price while a gunmetal version is $30 more. While there’s always work to be done, an iPad or iPhone can also be used to have a lot of fun. Drones are continuing to become more popular as the technology continues to become more affordable. The Yuneec Breeze sits squarely between the more professional models and the souped-up flying toy category. Made specifically for novice flyers, it features five different automated flight modes to help you capture that perfect image or 4K video. 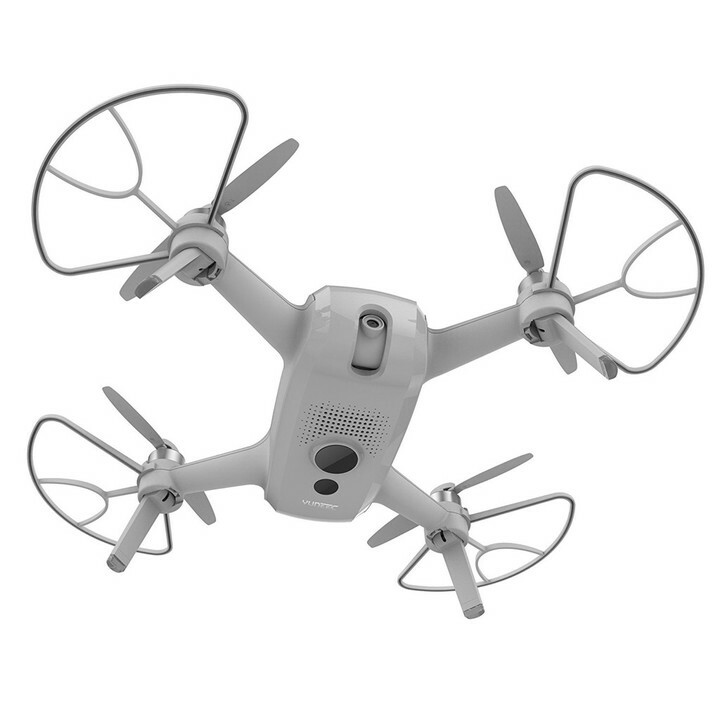 Weighing less than 1 pound, the drone can be folded up and easily carried with the included case. When you’re ready to go, just fold out the propellers and load up the companion app on an iOS device. Even though it’s safe to fly inside with the propeller guards, it’s tailor-made to explore the great outdoors. Thanks to built-in GPS and other technology, it can easily hold its position without any assistance. There’s even a auto landing and return-to-home feature if you get into trouble. I’ve been using the drone for a few weeks, and have really enjoyed the experience. I have some flying experience, but getting the drone up in the air should be quick and easy for anyone. The flying modes work extremely well, and the video and images I’ve captured have been great. Even though it doesn’t offer the perks of a more professional model, definitely take a look if you’re just starting out with the hobby and want something that’s easy to fly and a cinch to carry pretty much anywhere. You can purchase the drone now for $399.99. 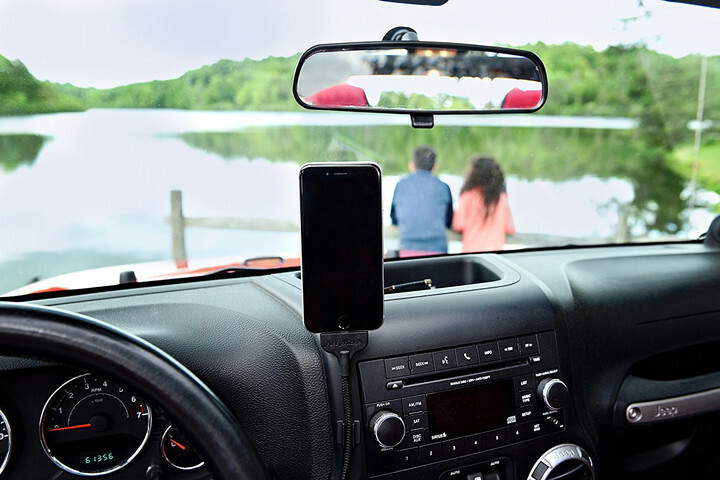 Instead of trying to depend on less-than-perfect windshield or vent mounts for an iPhone while in a car, Fuse Chicken’s Bobine Blackout takes a different approach. 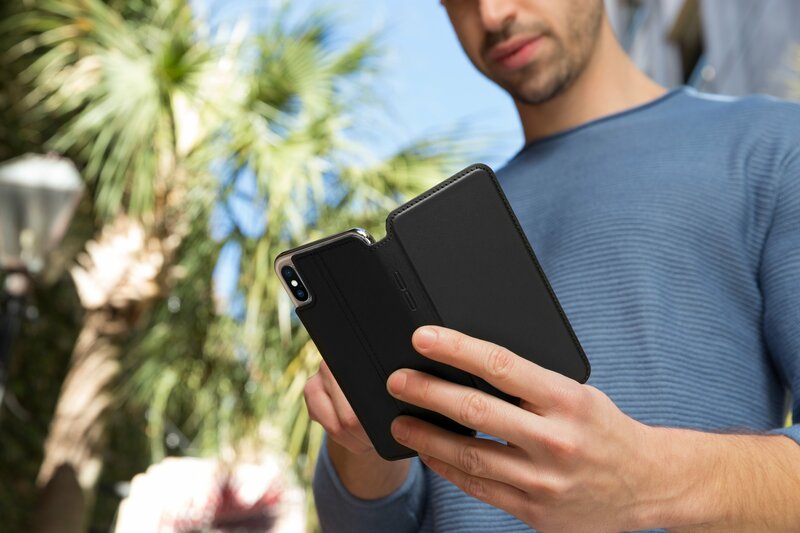 Compatible with all iPhones with a Lightning connector, the Bobine Blackout features a 2-foot cable and special dash stabilizer clips. It’s also be used with many thinner cases that leave the bottom of the handset exposed. You can snag it now for $34.19. Made to be used every day of the week, Solo’s Velocity backpack can quickly and easily transform into a duffel bag when needed. The padded laptop compartment can fit up to a 15.6-inch computer. There is also a dedicated pocket for an iPad or other tablet. Along with large zippered pockets, a separate compartment is designed to fit a pair of shoes. The carry handle and backpack straps are both padded for extra comfort. The bag, available in a blue/gray color scheme, can be purchased now for $42.49. WakaWaka wants to make sure you’re never without power. The main draw of the company’s Base 10 is a rugged 10,000mAH external battery pack that can charge up to three USB devices simultaneously. 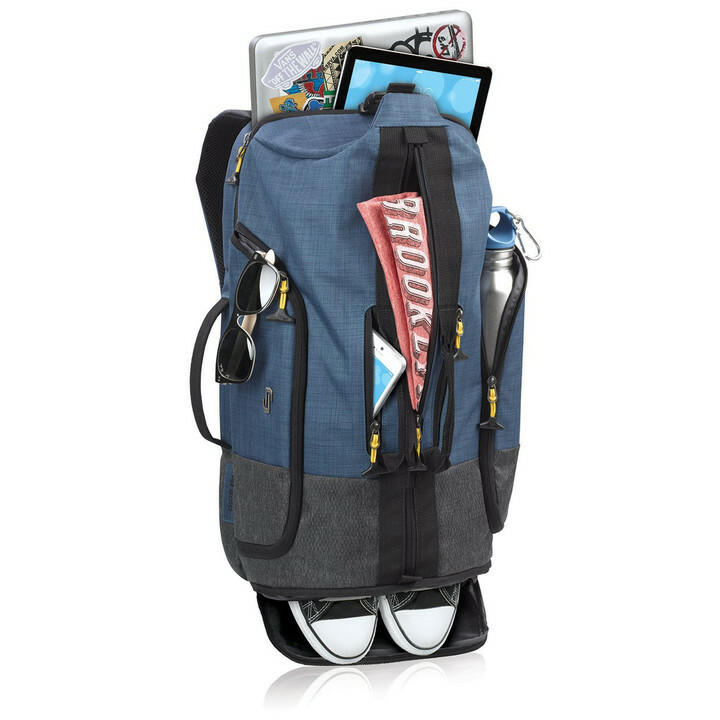 The pack can be charged conventionally with any micro-USB cable. But as the name suggests, it can also be juiced up by placing the included 10-watt solar panel in the sun for six to 12 hours. 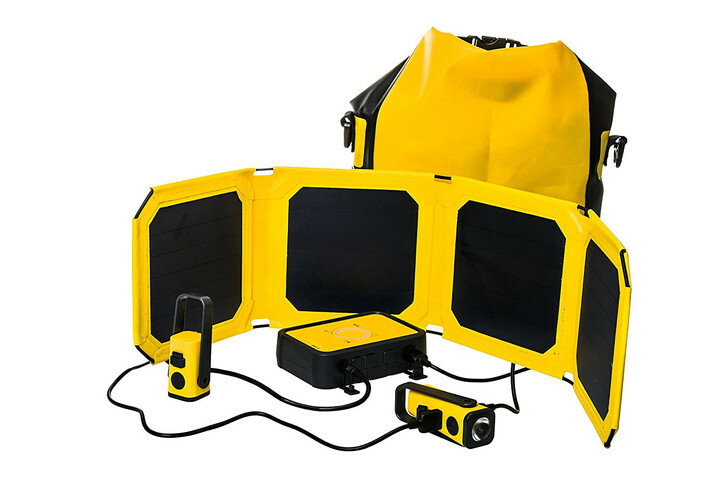 The entire system, which includes two flashlights, USB cables to connect the lights, battery pack, solar panel, and waterproof carrying bag, can be purchased for $156. With every kit purchased, the company will donate a year of solar power to a family in need in a developing country. Homework Help Is Just a Snapshot Away With Got It!